For our first meeting, we had some brief introductions and talked about the type of books we want to read. 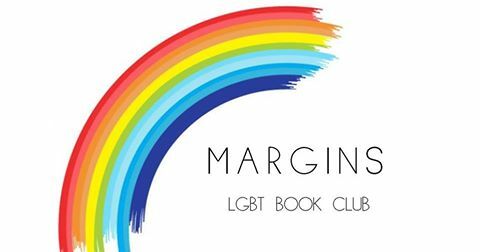 Although the first two selections are YA (young adult), the club isn’t necessarily focusing on LGBT teen lit. We’ll read whatever the club wants to read, whether it’s teen fiction, adult fiction, non-fiction, etc. We then discussed Gives Light by Rose Christo. The members seemed to enjoy the interesting perspective of the book. The two main characters, Skylar and Rafael, are two Native American (Shoshone) teenage boys whose friendship blossoms into love. We noticed that their relationship isn’t the only focus of the book. It’s just one of many facets of these characters’ interesting world. We discussed how tribal governments interact with the U.S. federal government. Without giving too much away, one key plotline in Gives Light involves legal issues when a crime is committed outside vs. inside the reservation. Speaking for myself, I enjoyed reading about the different cultural activities of the tribe, like the festivals and dances, and along the way learned about the way this tribe operates. One theme that came up was the connection between the mute main character (Skylar) and the muteness or lack of power of Native American tribes. This is also connected to the uphill struggle for a voice that LGBT people have endured and continue to endure. It was interesting to see Skylar (who’s been raised in “normal society”) come to terms with his identity (gay and Shoshone) and blossom after coming to live on the reservation. We talked a little about the selection for February, If You Could Be Mine by Sara Farizan. The library has a print copy and an e-book copy of it, but we have extra copies on the way. The library will post an update on Facebook when the extra copies are available to check out. As always, you don’t HAVE to read the selection; you’re free to just come and discuss anything you’re reading that you think the club would be interested in. Hope to see you at the February 27th meeting!